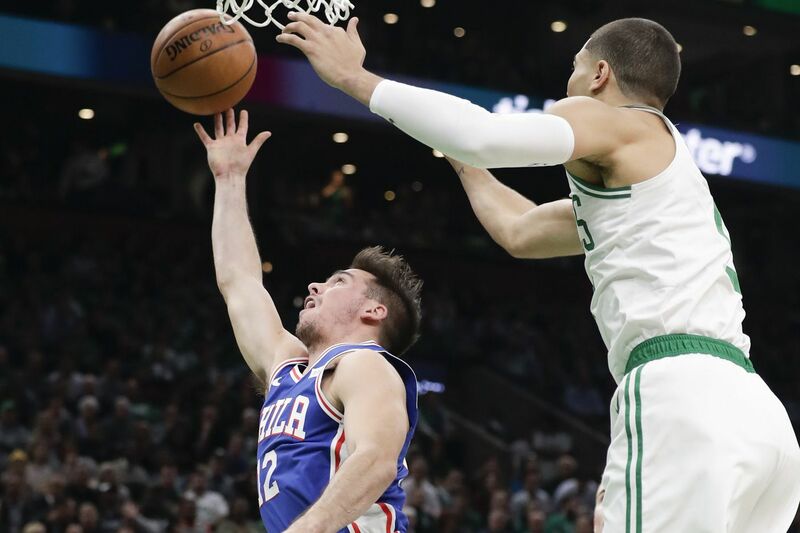 Sixers guard T.J. McConnell tries to shoot over Celtics forward Jayson Tatum on Tuesday. BOSTON — Keith Pompey talks about the 76ers' 105-87 season-opening loss to the Boston Celtics Tuesday night at TD Garden. Ben Simmons had a solid game. Joel Embiid was good in some areas and struggled in others. But most of the standout duo's teammates didn't come ready to play.